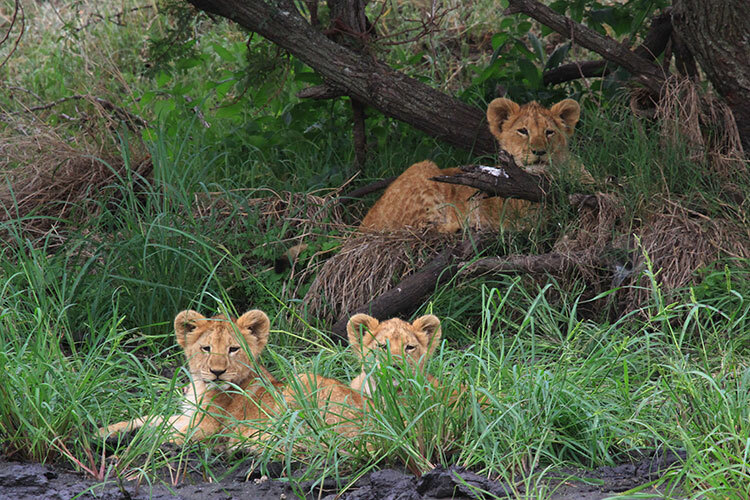 Lionesses will birth a litter of 1 – 4 cubs and we found this litter with four! Lionesses will give birth to a litter of one – four cubs and we were lucky to find this litter of four (though you can only spot three in the photo). 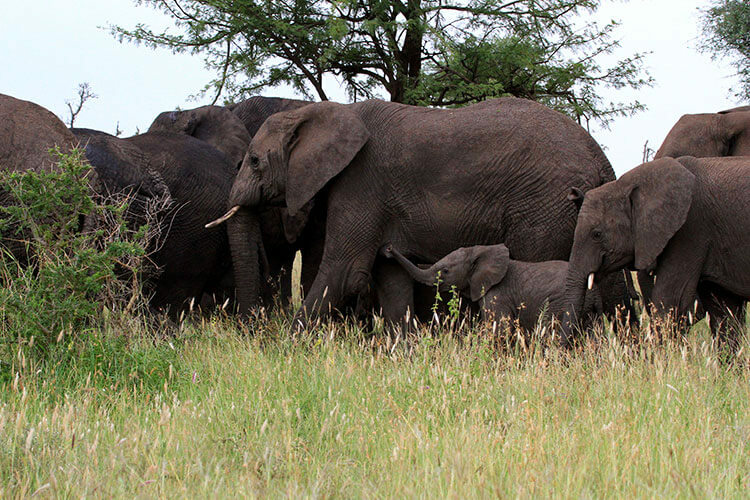 Elephants only get pregnant once about every five years and the gestation period is 22 months. Elephant calves are quite small! Our guides estimated this cutie was around eight or nine months old. Giraffe calves are born already around six feet tall! 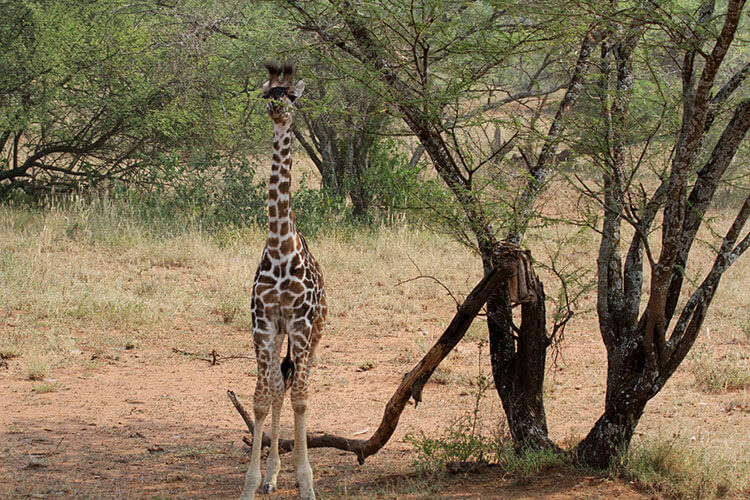 Though after seeing full grown giraffes, it’s pretty easy to spot a youngster even when they’re on their own. Sadly, we learned that giraffes aren’t very good parents and will leave their babies own their own while traveling several kilometers away. 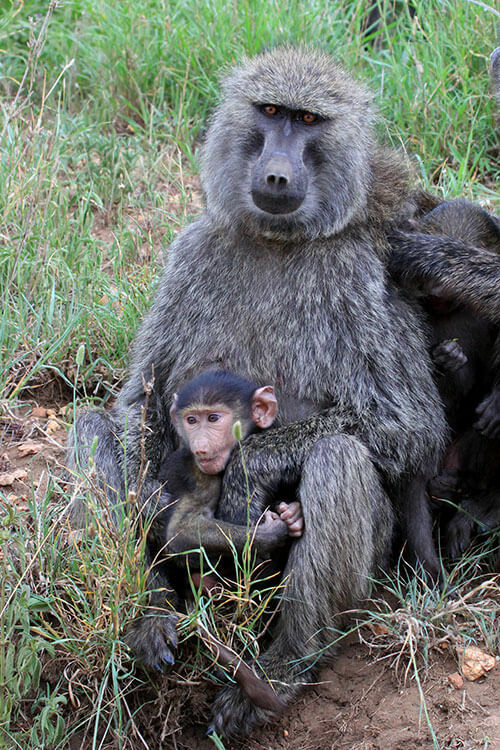 Baboon infants hang on to their mother’s stomach for the first month and then at five or six weeks old, start riding on their mother’s back. This cute little fella (boy parts definitely indicated he was a fella) was less than a month old! We were lucky to spot him playing very close to the road, though he scampered over to hold on to mom as soon as we stopped. Wildebeest calves can stand within just a few minutes of being born and can run with the herd within an hour after birth. We saw a few young calves as the Great Migration moved from the Serengeti Plains south to Ngorongoro Crater, where the wildebeest will birth their calves in the short grass plains. 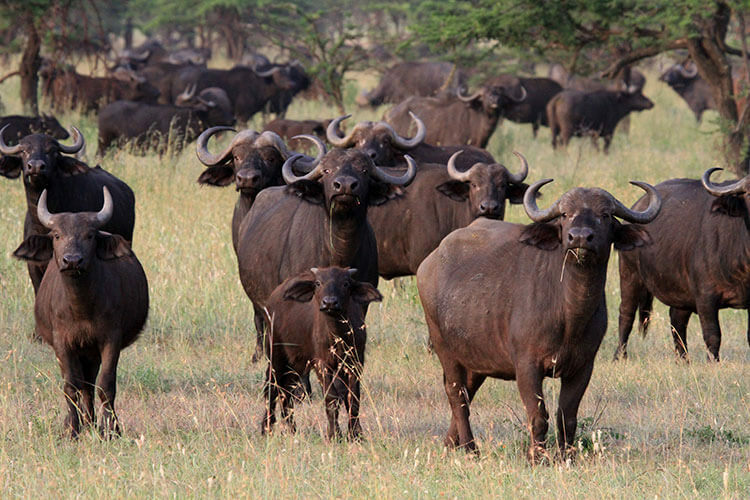 Cape buffalo calves are completely dependent on their mothers for their first year. The females will stay with and join the natural herd. We saw mostly male herds, but did spot some calves in a female herd we came across. Hippo calves are born in the water and can hold their breath for nearly three times as long as an adult hippo. Hippos spend around 16 hours each day in the water, so babies are a little hard to spot. 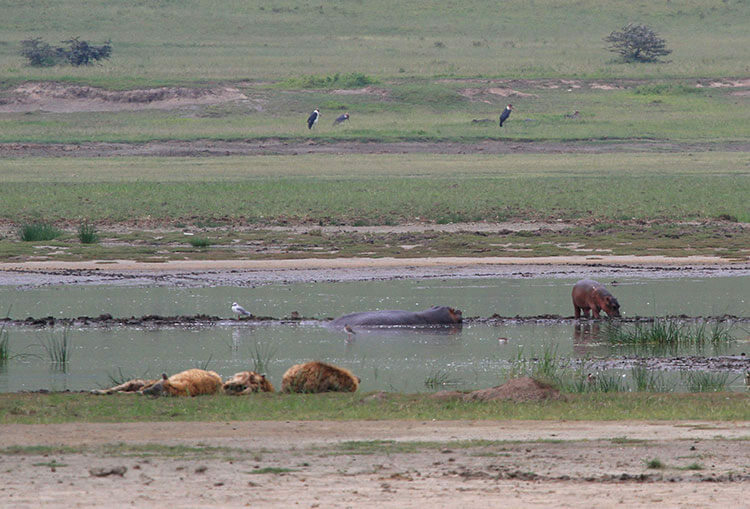 We got lucky to spot a baby out of the water at Ngorongoro Crater. Warthog moms only have four teats and piglets each suckle from their “own”. No sharing! 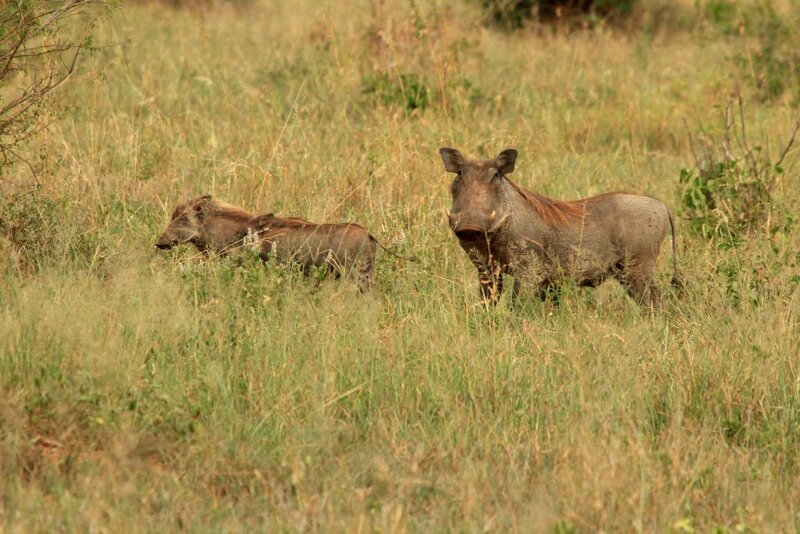 When warthogs run, their tail sticks straight up and the piglets run in a line behind mom. Though I hope they weren’t running from a predator, they are too cute in running mode. 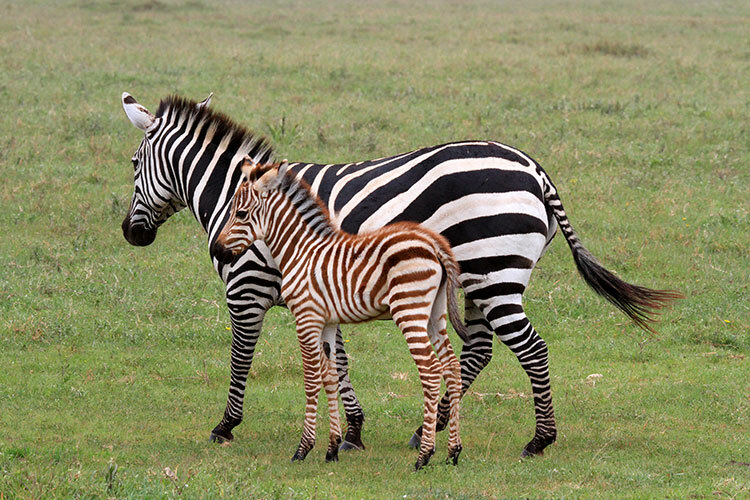 Zebra foals are actually born brown and white and with a thicker coat. They look fuzzy, which makes them all the more adorable. Like wildebeest, zebras have their babies just before the long rains begin in February. We saw quite a few baby zebras at Ngorongoro Crater. 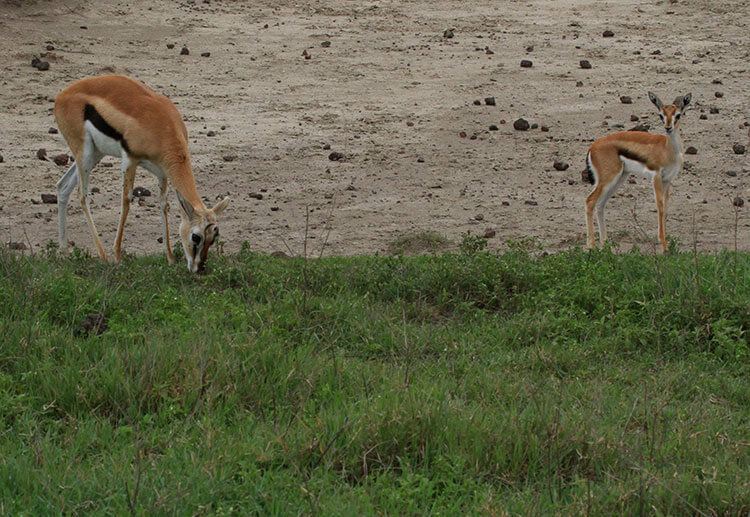 Thompson gazelles are really small with an adult standing at only around 2 – 3 feet tall. Females move away from the herd to birth a single fawn and the fawn will spend most of its time resting and hiding in the grass. It’s not very common to spot a fawn, so we were particularly lucky to see this little fawn with its mom on the short grass plains at Ngorongoro Crater during the Great Migration. Hyrax live in families of up to 50 and are sort of look like a rabbit without long ears and cotton tails that can climb. The babies all snuggle up with mom when they nap and we were quite amused watching the resident hyrax families at Serengeti Migration Camp. 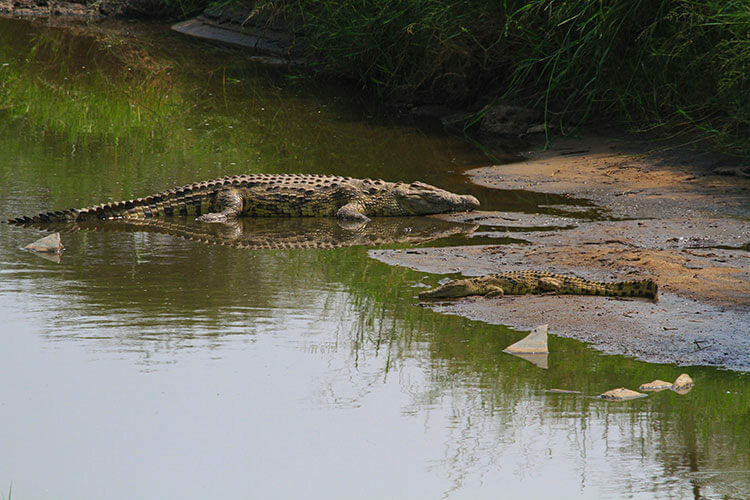 Crocodiles lay around 50 eggs and bury them in the sand on the riverbank. Of the 50 eggs, only one or two hatchlings actually survive. This little guy was sunning himself right next to mom in the Serengeti. 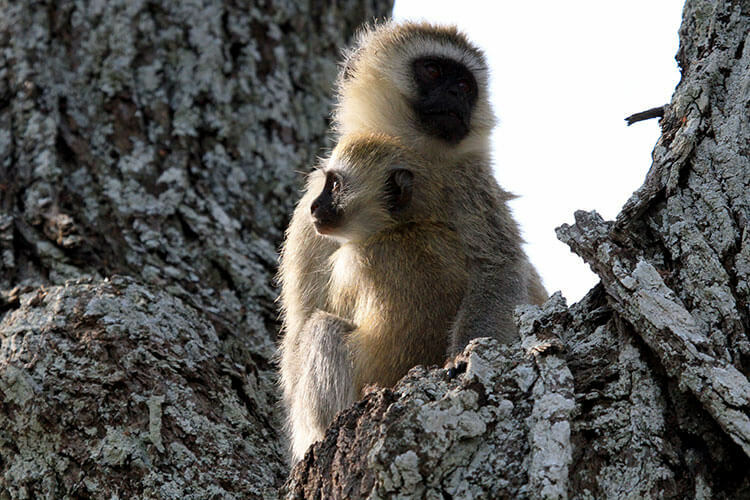 Like baboons, monkey infants clutch their arms around mom and hitch a ride on their belly. Because the mom and dad are so protective of their youngsters, baby monkeys can be hard to spot. Like all kids, they like to play and you might spot them chasing each other around. As soon as the parents spot you watching though, they grab up their babies and hold on to them protectively. Though it was going into the long rains when we were there, we had pretty good weather and it was the perfect time of the year to see the babies. So cute to watch! Thanks Lauren! At first we were just shooting the babies, but then we specifically started trying to capture a mom and wee one. Just so much cuteness! After getting hit with one Polar Vortex after another in the U.S, it’s nice to see signs of Spring with all the young animals being born. Nice photos. Even though we were just a few degrees below the Equator, it was definitely a different season there in Tanzania! Kind of disappointing to come back home to the winter rain in Italy after getting a taste of “Spring”. When I went on safari in Selous Tanzania for honeymoon, the lion cubs were playing hide and seek so I’d love to try and catch them next time – I absolutely loved baby hippos though – so cute! What a fantastic place to go on honeymoon Shikha! Lions don’t have a specific time of the year that they breed, so you have a pretty good chance of seeing lion cubs any time of the year. Hope you spot some on your next safari! Even the baby croc is cute! I still wouldn’t mess with even the baby croc. We’ve got a close up and it already has some lethal looking teeth. I love the zebra and foal. Interesting to see the foal has a kind of ginger hue! We were surprised that baby zebras are so brown too. Very cute. The coat almost looks like a thick fuzz or velvet. That giraffe baby is ridiculous!! Isn’t it so cute? It’s parents were no where around. I can only hope it survives on its own. Wow, that’s impressive you did get all the big ones and small ones to…what a fun trip, must have taken lots of great images to share! 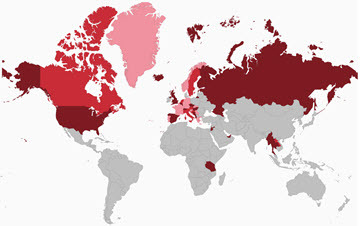 We averaged anywhere from 600 – 1000 photos each day. I think I could post a safari photo a day for the next year! The hippos were so funny! They make the best noises that just make you smile. Those are so cute! The babies look like miniature versions of the adult ones. I really like the zebra and the lion cubs, although they are all very adorable 🙂 Your photos are very impressive! Thanks Lauren! The babies are just so adorable to see and I loved watching them interact with their moms. This post if full of some serious awww. I love the one of the baby elephant. That baby elephant had to be the happiest elephant I’ve ever seen! Elephants were definitely a favorite to watch, especially when they play in water holes. We’ll have a post coming on a herd having some serious fun in a water hole. So cute! You were definitely there at the right time for the babies. Can’t wait to read about your adventures! Yes Jenny! I was a little disappointed that we never got the a blazing fiery African sunset, but it’s hard to be too disappointed when we got to see all these wee ones. What a treat! Even the baby crocodile is cute! The babies are just too cute to watch! Even the baboon baby melted my heart. I had a bad experience with baboons at the zoo when I was a kid, so don’t really like them. ohhhh yes, they’re really cute 🙂 I’m happy you had such a great time! Definitely one of our favorite trips we’ve been on Stef! Love the photos. 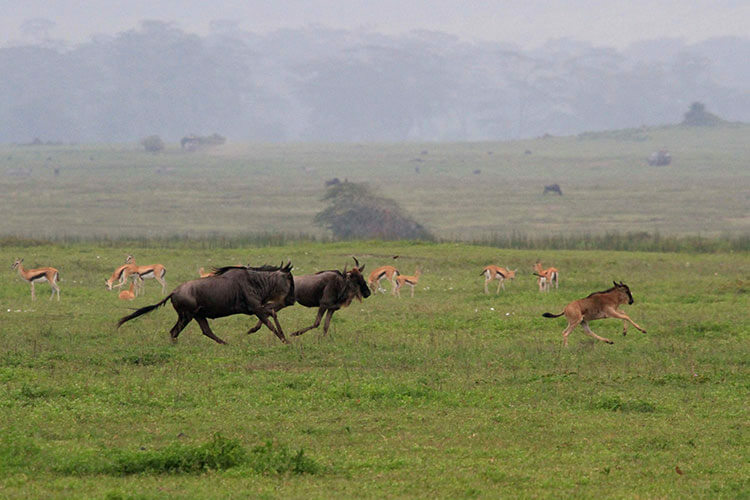 I really want to go on an African Safari photo tour! You will love going on safari Angela! We’re barely home from this safari and now I am absolutely dying to go to Kenya, South Africa, Zambia, Botswana, and Namibia! the baby zebra is adorable!! I had no idea they were born fuzzy and born, every animal is so cute when miniature size, even the crocodile. Great pics! Thanks Samantha! Yes the wee ones are just too adorable. I think even a baby hyena might be cute. Oh Mahh gahhd. All of them. Yes please. Can’t wait to do a safari. Not on this RTW trip but the next for sure. Thanks for sharing. You will love it when you do go on safari, Shaun! This was one of our all time favorite trips. Hard to feel blue with so much cuteness to look at here! The Zebra, the giraffe! I had to come back and have a look this morning! 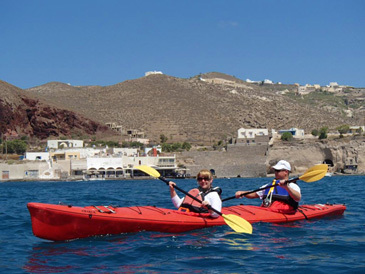 Nice pics – never heard of a Hyrax! Interesting looking animal. We’d never heard of one until about two weeks ago either, Frank. They’re pretty cute! 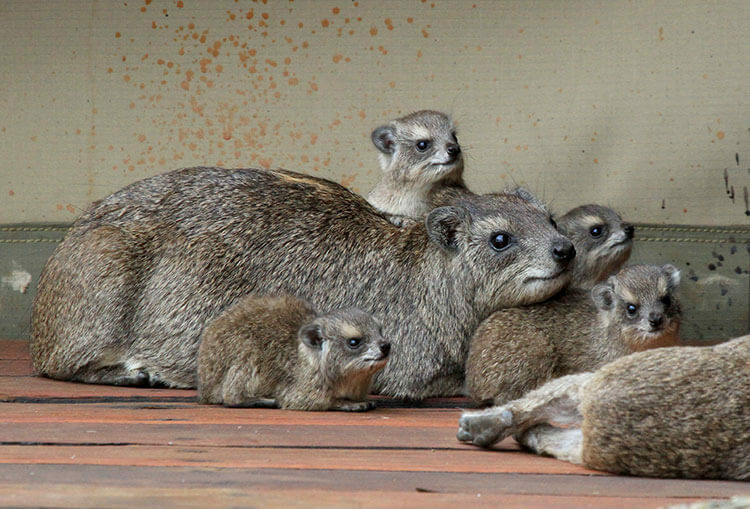 Those Hyrax are deviously cute, they just look like they’re up to no good, hatching some plan to steal your treats. LOL! We had a family of them that just loved to sun themselves on the wooden platform surrounding our tent. Oh how I would love to go on safari! It would be even better to get to see all these baby animals. They’re all so cute, especially the Hyrax!